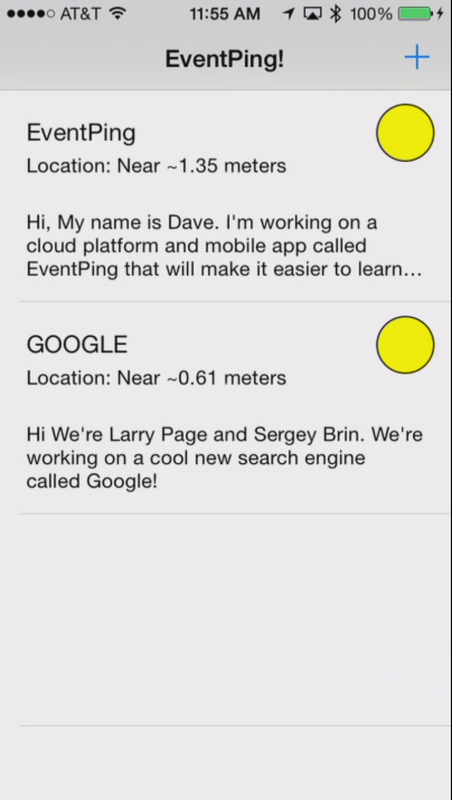 Event Ping is an app for easily sharing what you're doing at any event (like a hackathon). 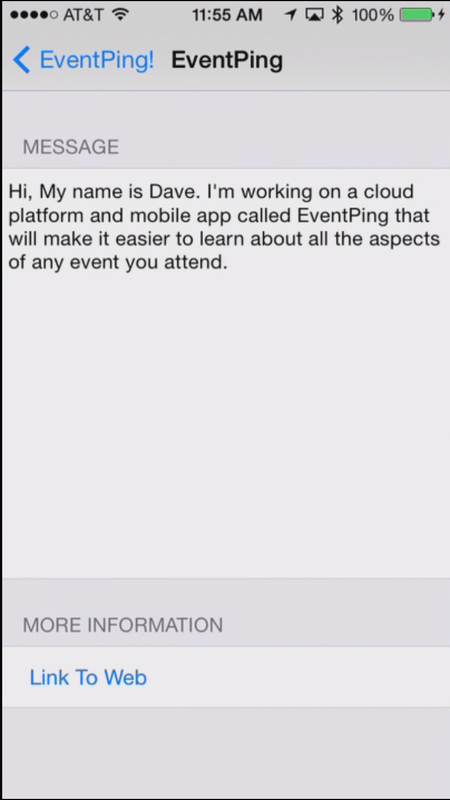 All you need is the EventPing App and an ibeacon. 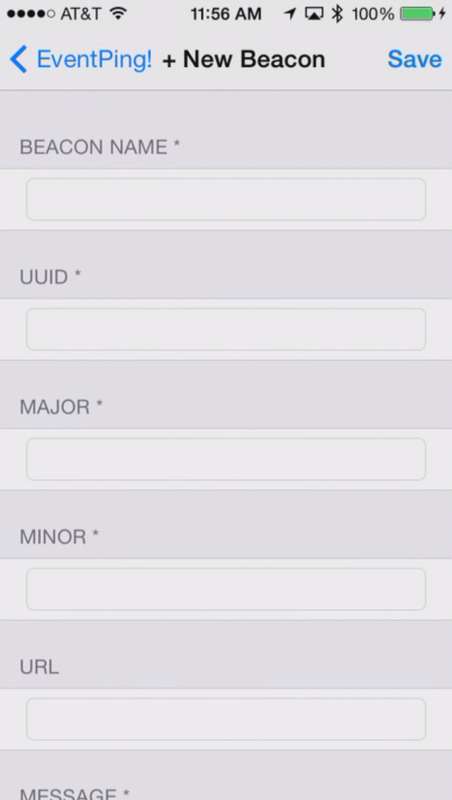 You can get started with iBeacon instantly by just entering your iBeacon details and a message you'd like to share to everyone! Share fast, easily and simply in real life!